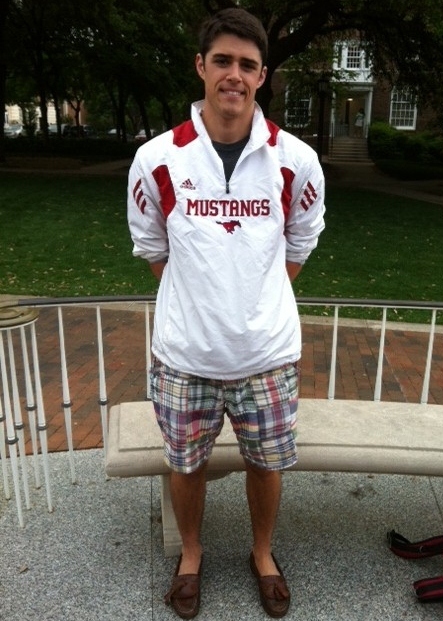 SMU freshman Christopher Saul doesn't have a style icon, but he looks effortlessly stylish in cute plaid shorts. I asked him to describe his style in two words, and he said "I wake up... I don't really know what you're looking for." Too funny! Regardless of how he describes his style, he looks great! His Style: "I wake up"